Last Friday Facts promised a stable 0.8 release in the beginning of this week. Well, that was a false promise because couple of more bugs have been found that resulted in the new record for number of bugfix releases. Now we have the 0.8.8 in the experimental stage. If there are no serious issues found this will be made stable during the weekend. Having so many bugfix releases is rather annoying (and we plan to improve here by starting with automated testing) but it doesn't slow us down in the regular development. We have multiple development branches and the work on the 0.9 has been going for a while in the master branch, while the bugfixes are collected in the current release branch (the 0.8.x) and then merged back into the master. The recipe ingredient can be a fluid. The recipe can have multiple results (both items and fluids). 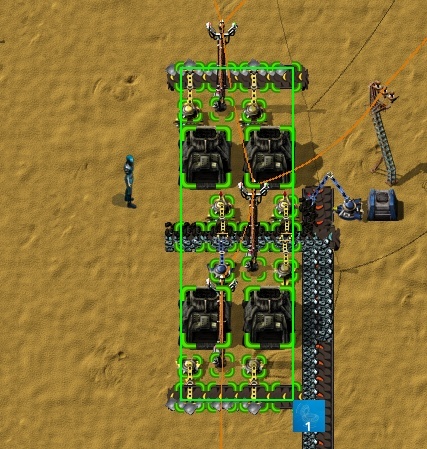 The results of the recipe can be randomized (there will be a probability of getting the result and a min - max range for the amount of the result). 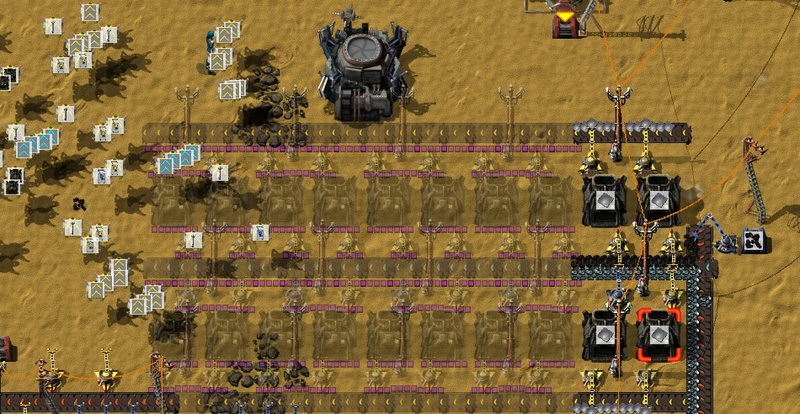 You make the blueprint item. 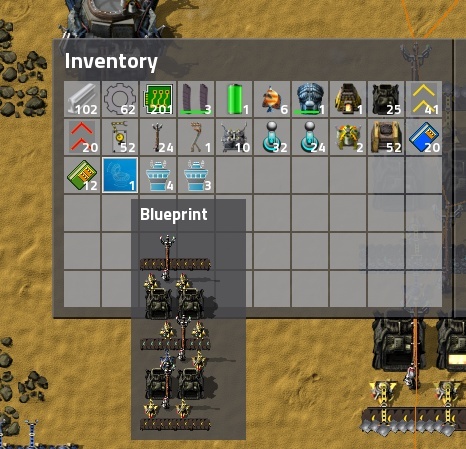 You select what to store in it (you get the blueprint preview on the item afterwards). You place it and the construction robots build it. You can check it out on the mini picture series below, where blueprints have been used to build the standard furnace line. If you would like to share your thoughts or ideas about this post, you can do so on our forum.